Long working hours and a tiresome routine does not inspire any excitement. In fact, it only plays catalyst to throwing off your internal clock and wreaking havoc on your body (cramped muscles, dehydrated skin, and so much more). With every day pressures and demands of drawing out a balance between work and family life, most people resort to unhealthy practices such as, using sleep aids or consuming alcohol, to cope up. Stresses can be hard to avoid, and may often leave you feeling sluggish and weary. Thai Foot reflexology is the art of ancient healing combining Indian Ayuvedic and Chinese principle, acupressure and assisted yoga in many years ago. The application of pressure onto particular areas and to different points on the feet stimulate the body’s healing power to reduce stress, relieve aches, pain, and tired feet, improve sleep, bring peace of mind, relieve sinus headaches, improve circulation, and increase energy.  Thai massage has several benefits. It uses yoga-like stretching and soft pressure on energy lines to loosen up and relax the entire body. This deeper level of relaxation helps to improve your personal outlook as well as your emotional status. Deep relaxation is also instrumental in promoting a deeper and restorative sleep. This deeper sleep gives the body a chance to heal itself, and helps you feel more refreshed.